The wines of Feudi di San Gregorio have always been characterized by the consistency of quality, the clear territorial matrix and the extreme drinkability; wines of the highest level that never cease to impress us for their pleasure and for the excellent relationship with prices. 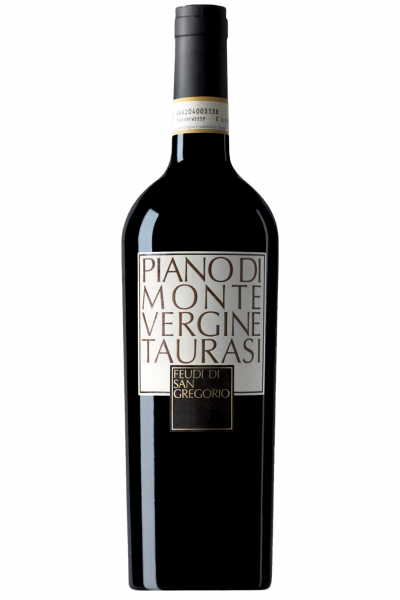 The Taurasi DOCG Riserva Plan of Montevergine is, unquestionably, the flagship wine of this company; a red noble Taurasi that can, in all respects, be considered among the best wines of the whole Campania and national enological panorama. A red wine from Aglianico grapes in purity, with an austere look and a bit rude but, at the same time, with an aristocratic tone, a strong territorial imprint and intriguing and decisive taste-olfactory sensations. Bright garnet red, it has an olfactory impact based on black fruits in jam, dark spices, tobacco, humus and balsamic cues. Very fine and tannic on the palate, it is warm but well supported by acidity. Long aromatic persistence. Given the important tannins, it will be paired, without hesitation, with braised red meats, lamb in broth and seasoned aged cheeses.